select *, DATE_FORMAT(birthday, "%b %e, %Y") as _birthday, DATE_FORMAT(died, "%b %e, %Y") as _died, MONTH(birthday) as month_birth, DAY(birthday) as day_birth, DATE_FORMAT(birthday, "%b %e") as _birth_day_month from agatti_people where agatti_people.u_name = "claudette-colbert"
Shares birthday with Jesse L. Lasky, Gladys George, Leland Hayward see more.. 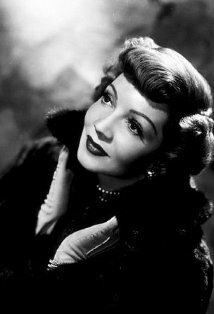 Legendary actress, Claudette Colbert, was born Emilie Claudette Chauchoin on Sep 13, 1903 in Saint-Mandé, France. 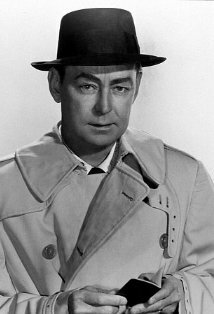 Colbert appeared in over 75 film and TV roles. 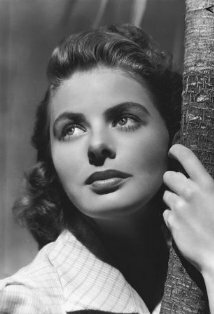 Her best known films include It Happened One Night, Private Worlds, Since You Went Away, The Sign of the Cross, Imitation of Life, Boom Town, Midnight, The Palm Beach Story, So Proudly We Hail, The Egg and I, Tomorrow is Forever and Drums Along the Mohawk. Colbert died at the age of 92 on Jul 30, 1996 in Speightstown, Barbados and was laid to rest in Parish of St. Peter Cemetery in St. Peter, Barbados. Claudette Colbert was born Emilie Chauchoin in Saint-Mande, France on September 13th, 1903. Her mother held various working class jobs while her father owned a pastry shop in Paris. After some bad financial investments, Colbert's parents decided they should relocate the United States in the hope of finding better employment. They arrived in New York City in 1906 where Colbert's father found work at the First Nation Bank. Colbert took an interest in the arts, particularly painting. 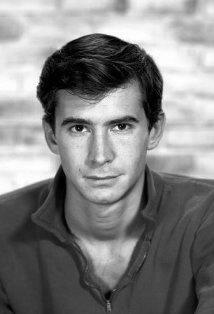 It was while studying at Washington Irving High School that a teacher suggested she try out for a play she had written. In 1919 at the tender age of 15, Colbert made her first stage appearance in The Widow's Veil. She later went to study at the Art Students League of New York with hopes of becoming a fashion designer. To pay for her education and learn about the minutia of the garment industry, Colbert found employment at a dress shop. Once again, however, she was offered a role on the stage, this time by writer Anne Morrison. In 1923 she made her Broadway debut in The Wild Westcott's, in a three-line bit part. After the plays success, Colbert gave up on her dreams of the visual arts and instead threw herself into the performing arts. In 1925 she signed a five-year contract with Broadway Producer Al Woods. She spent the next five years playing primarily ingenues or French maids. In 1927 Colbert received a considerable amount of critical acclaim with her role as the lusty snake charmer Lou in The Bakers. Soon after, she was off to London to reprise the role on the West End. Later that year, she would make her film debut in the early Frank Capra silent film For the Love of Mike. The film, now considered lost, was not a successful and Colbert disliked the process that she opted to return to Broadway but after toiling for two years, unable to match the success of The Bakers, Colbert decided to give the movie business another chance. With Hollywood desperate for stage actors now that "talkies" were the rage, Colbert was able to sign a contract with Paramount Studios in 1928. She remained at their New York studios until her contract with Al Woods expired in 1930. Of her "New York" films Manslaughter opposite Fredric March and The Big Pond Maurice Chevalier were the most successful. She made the permanent move to Hollywood in 1931, where her success on the silver screens only continued. 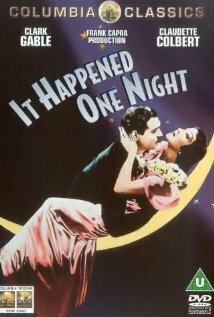 As the legend goes, no actress in Hollywood seemed to actually want the role of Ellie Andrews in It Happened One Night. Every major comedic actress in town had turned the film down the role before Colbert finally accepted the offer, only after director Frank Capra agreed to pay her twice the original salary and complete filming in four weeks. She hated the experience and was glad to be rid it. Although the film was initially released to indifferent reviews of the first critics, the film caught traction in secondary theatres, becoming more and more popular through word of month. The film would go on to become Colombia biggest moneymakers of the year and was nominated for five Academy Awards, including best actress. Colbert did not attend the ceremony; confident she would not win and boarded a train to New York instead. When her name was announced as winner, Harry Cohn sent someone to fetch her from the train station. The film was the first to win all five of major awards: Best Picture, Best Director, Best Writing, Best Actor, and Best Actress. The next year, she received another Academy nomination for her role in Private Worlds. Now a major star, in 1936, Colbert was able to further renegotiate her contract, and in the process making her the highest paid actress in Hollywood. She also began to exercise her power in how she photographed. She took an independent interest in light design and cinematography in order to look her absolute best. She refused to be filmed on the right side of her face and insisted on hiring her own cameramen regardless of the director's choice. Despite her peculiarities of how to be photographed, she otherwise gained a reputation of constant professionalism. By now, she was at the peak of per popularity and starred in hit after hit. Her ability to ease in and out of genre's made her a highly sought after actress. 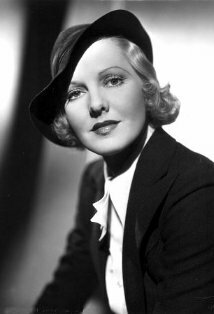 Her comedies, such as 1935's She Married Her Boss and 1936's The Bride Comes Home were met with the same success as her dramas such as 1936's Under the Flag and 1939's Zala. In 1939, she starred opposite Henry Fonda in her first color film, Drums Along the Mohawk. She began the 1950's with the poorly reviewed The Secret Fury. She film also failed to perform at the box office. Colbert also had difficulty in mature roles due her still very young looking face. Although originally slated to play Margo Channing in All About Eve, she was forced to back out of the project before filming began due to a back injury. As her popularity waned, she traveled to Europe to star opposite Orson Welles in Royal Affairs in Versailles. She then starred in a series of televised plays before returning to Broadway for the 1956 play The Marriage-Go-Around. For her efforts she was nominated for a Tony Award. She made one final film appearance in 1961's Parrish but opted after to remain in theatre and television, as she was not receiving any film offers at the time. Throughout the 60's and 70's Colbert appeared on the stage and screen intermittently. Her most successful stage ventures were those that co-starred Rex Harrison, 1978's Kingfisher and 1985's Aren't We All. In 1987, Colbert had a huge success with the TV miniseries The Two Mrs. Greenvilles. She was nominated for an Emmy Award and won the Golden Globe. In 1993, she suffered a small series of strokes and was under supervision for the remainder of her life. On July 20th, 1996, Claudette Colbert died in her Barbados home. She was 92 years old. Claudette Colbert was nominated for three Academy Awards, winning one for Best Actress for It Happened One Night (as Ellie Andrews) in 1934. Eve Peabody: [at the ball] Don't forget, every Cinderella has her midnight. Ellie Andrews: Still got my eye on the thumb. Eve Peabody: Oh, I think it's a dream on you. You know, it does something for your face. It gives you a chin. 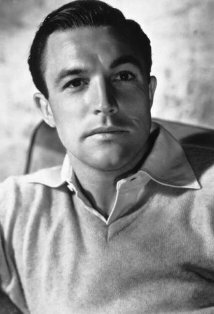 Urged good friend Charles Boyer to learn English, in order to further his American movie career. The shelving of a proposed movie about "Joan of Arc", at Warner Brothers in 1936, to be directed by Anatole Litvak, was considered one of her greatest disappointments in her career. A 1945 trade publication announced she was being considered for a role as a French aristocrat in Adventures of Don Juan (1948), but by the time this film came out in 1948, the role no longer existed.